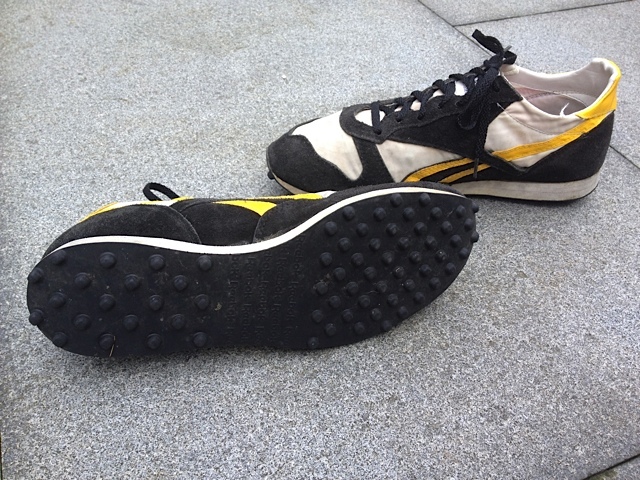 Retrobok visitor Ian Goodfellow sent me some great photos of his own OG Wild Runner Twos from the mid-80’s. 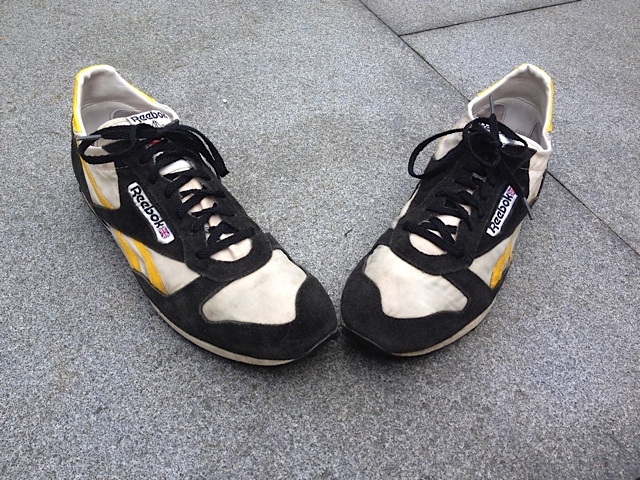 His have clearly been well used, but are still in impressive condition for a 27-year-old shoe. 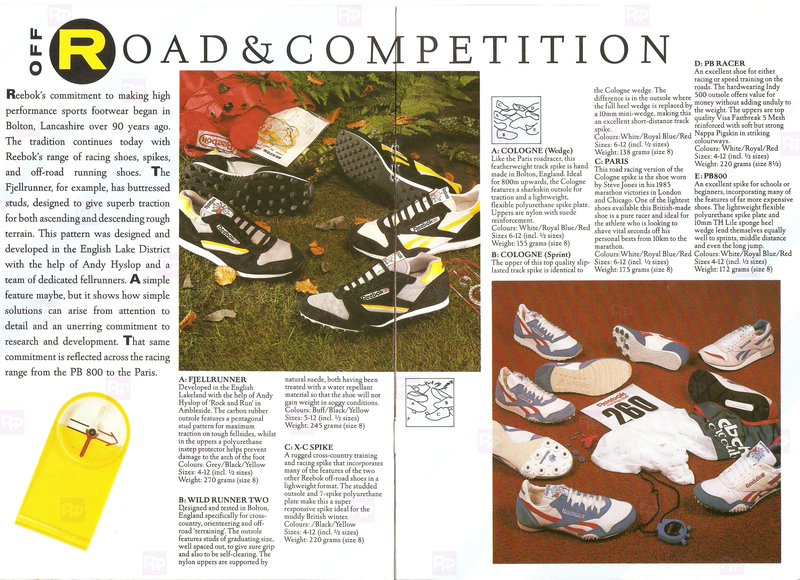 (continue reading after the jump) The Wild Runner Two was part of a neatly colour-coded range of outdoor runners which included the Fjellrunner and X-C Spike ; covering a range of outdoor applications, and all packing water-repellent uppers and (X-C Spike aside) cleated outsoles for traction in muddy conditions (but without the hassle of collecting the dirt along the way). Its sister-shoe, the Fjellrunner directly inspired the outsole of the recent CL Trail. 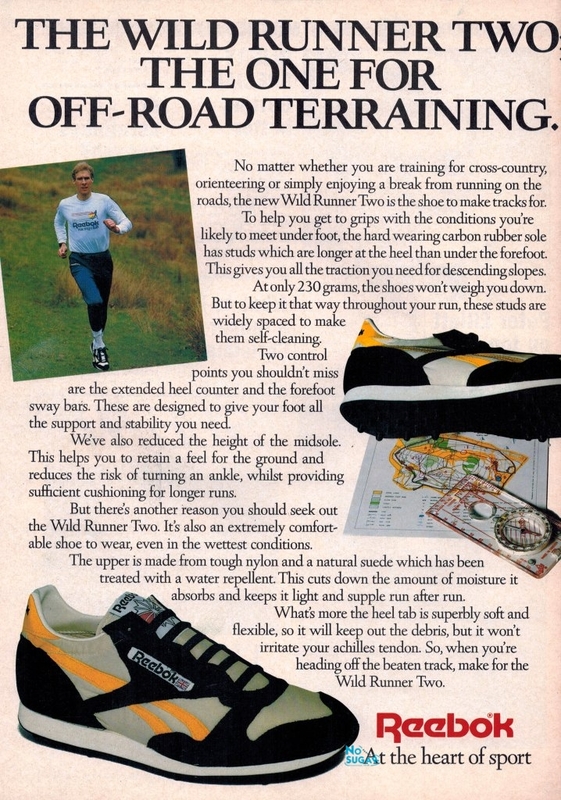 Wild Runner ‘One’ appears to be from around 1985, with ‘Two’ around 1987. 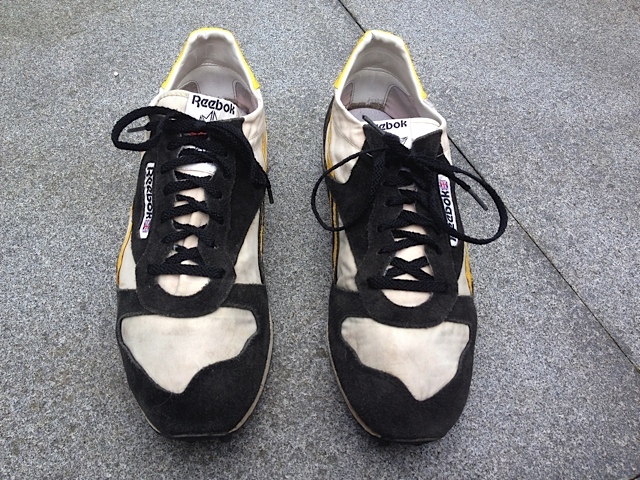 With huge thanks again to Ian for sending in these photos of his own pair. Posted on September 1, 2014, in Newsfeed. Bookmark the permalink. 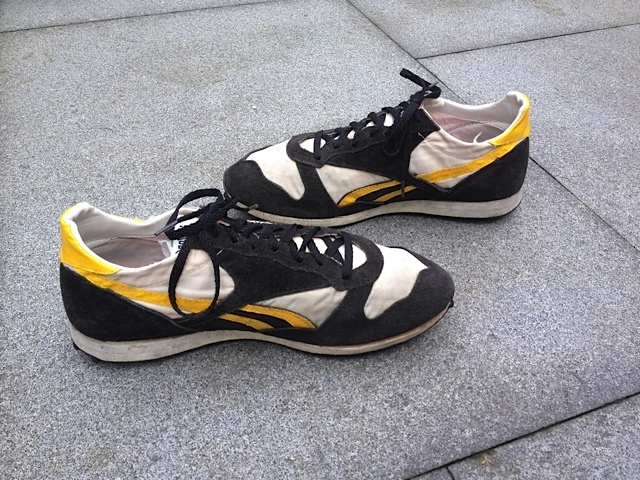 Comments Off on OG ‘Wild Runner Two’ – Photos & info.